Two days to go and there are two very excited children in the Larson household! It's hard to believe how fast the month of December flew by, but it has been such a wonderful month full of activities, movie watching, parties, listening to christmas music, decking the halls, and spending quality time together. Our kids are at such a wonderful age right now, I wish I could bottle their energy and excitement! We still have some baking to do, but everything else is pretty much wrapped up around here! 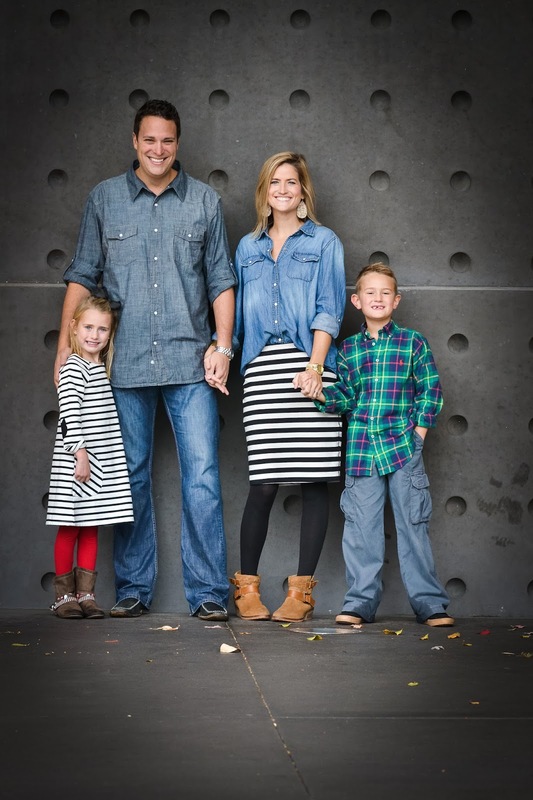 I know everyone is busy finishing up last minute details and spending time with family and friends, but wanted to drop in quickly to share our Christmas card and some family photos we had taken a few weeks back. Our photographer just so happens to be my neighbor (and my bestie), and she did such an amazing job of capturing our family and our personalities. If you are local and you are looking for a photographer, please contact her, or contact me and I will get your her info. You can check out her FB page here! You can check out last year's photos and Christmas card here. Here are a few of my favorites from this year's shoot! Now, onto a quick Christmas post. I wanted to do something a little different on our chalkboard wall this year. 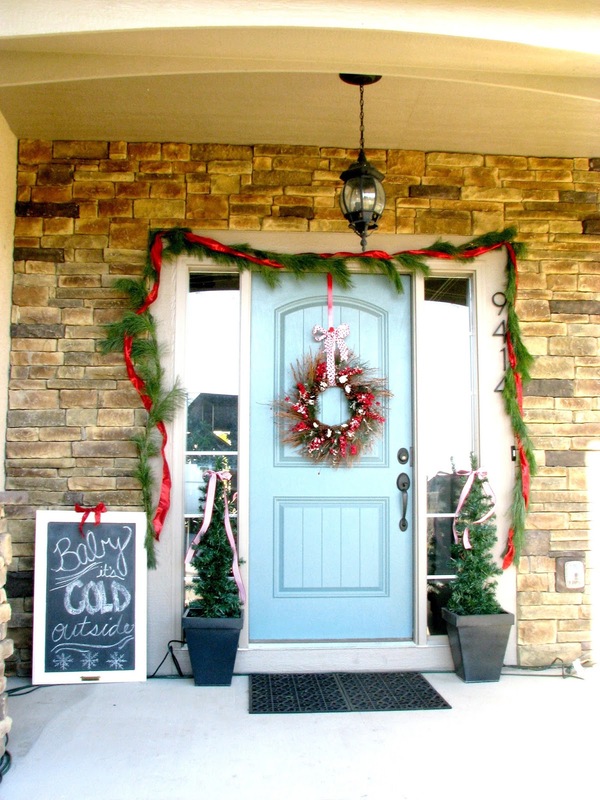 I made this DIY pom garland a few years ago and thought it would make the perfect Christmas Tree garland. 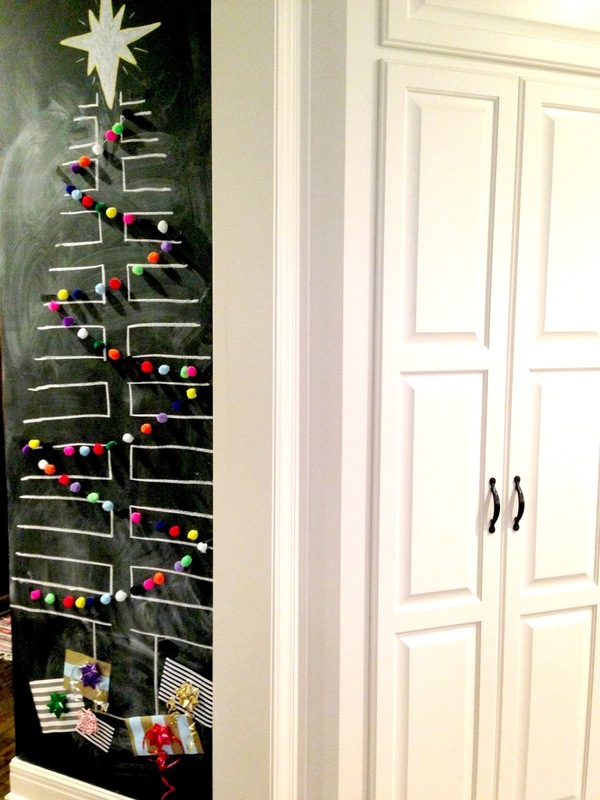 A little chalk, some black electrical tape, and some fake presents, and we have another tree in our home this year! Apologies for my blogging being so sporadic! As I've mentioned before, this is the hobby in my life, and everything else must come first! 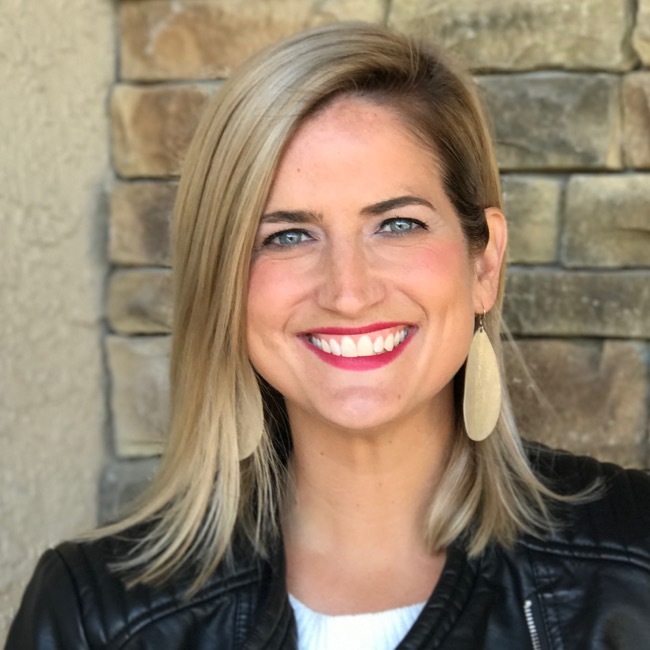 Including cleaning, cooking, getting the house ready for Christmas, creating a DIY ant costume for a 1st grade play, hosting a 6 year old birthday party, shopping, wrapping, ordering and shipping Christmas cards, etc, etc, etc. I know your to-do lists all look the same and there is NEVER enough time in the day! I know we are all busy this time of year enjoying the magic of the season, and for me it's seeing it through my kid's eyes for this short window of time. We still have two believers, but I'm afraid our years are probably numbered. Don't get me wrong though…we always will "believe" around here! These are the days and moments in time I hope to never forget. And for that reason, I'm trying not to stress, I know everything will get done. I'm teaching my kids about the real meaning of Christmas, about giving and being careful not to ask for too much. I want our holiday "to-do" list to really feel memorable, and not like we are just checking off boxes. I hope you are all enjoying special times with your families! 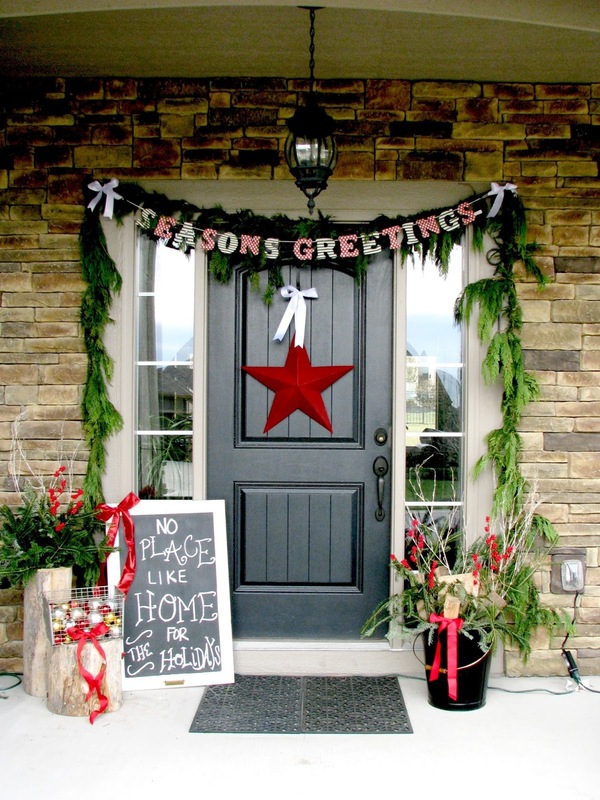 I wanted to share some past holiday related posts in case you are new to LLL or are just looking for some inspiration. I usually like to keep things simple and use what I already have. Here goes! 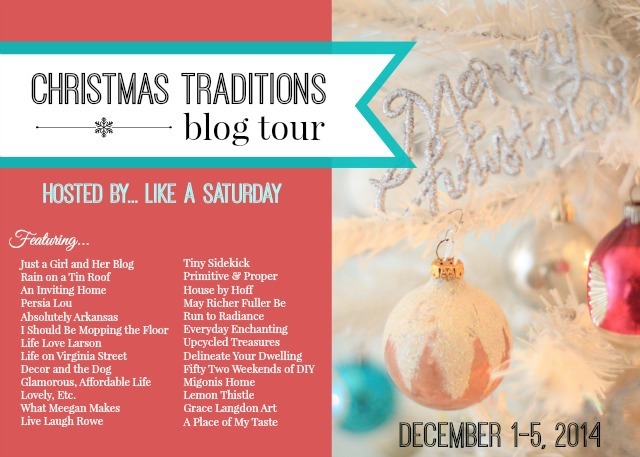 If you are coming from I Should Be Mopping the Floor, welcome to the next stop on the Christmas Traditions Blog Tour! I hope you are enjoying the tour, the magic of the season, and spending time with family and friends. A big thank you to Rachel at Like a Saturday for inviting me to join along, it has been so fun looking down memory lane to create this post!